Two federal agencies announced Friday they will work to shut down the Dakota Access Pipeline protest camps. 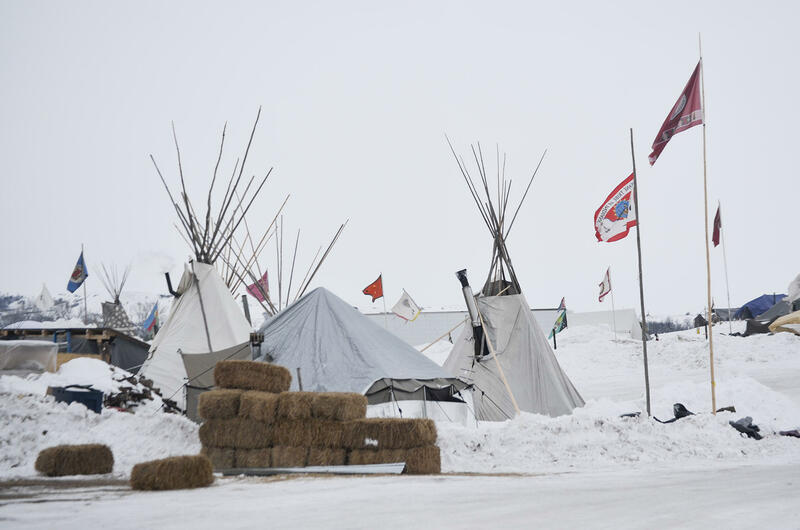 The Bureau of Indian Affairs said on Friday that it will send law enforcement to North Dakota to help shut down pipeline protest camps on the Standing Rock Sioux Reservation. The Standing Rock tribe led the months-long protest against the Dakota Access Pipeline. But it recently requested help from the BIA to close the camps. The BIA announcement comes after word that Army Corps of Engineers is giving the few hundred protesters who remain at other camps on its land until Feb. 22 to get out. Chase Iron Eyes is a tribal member and one of the protesters. “Every camp person, whether they’re considered a leader or just a person out there, is going to make their own decision about what they’re going to do,” he said. Officials from both agencies say they’re concerned about protesters’ safety amid likely spring flooding.